If eating healthy and fresh foods is your thing, you might find these 7 indoor gardening tips useful for you. No matter where you live and how much space you have, you can always grow some fresh foods at home, even during the cold months of the year! You don’t need to wait for the spring or summer for growing fresh greens indoors we will show you how to get this done and start gardening no matter where and when. Plants not only provide you with fresh foods but they also clean and purify your indoor air which makes them an awesome element to have in our home or working environment. You can grow a number of plants indoors, wherever you happen to have available space. They will help you have your home looking and feeling better than ever! Below we have 7 useful indoor planting tips for city dwelling plant lovers! It’s always important that you have large enough container for the types of plants you want to grow to give them room to grow properly so make sure you get containers that give them plenty of room to do so. Also, make sure that you allow enough air and sunlight around your indoor containers so your plants can receive the best possible nutrients from their two elements. You can grow a large number of plants on your window sill, on shelves, or vertically on walls. Hanging containers also make great planters. Again, try to allow enough air, sunlight and growing space for your plants. So the main part of this point is to make sure that you have a good setup for the plants to grow in their fullest expression. Plants need sunlight for preparing their food through photosynthesis process. Without enough sunlight, most flowering and fruit bearing plants will not grow. So during the winter months, plants by your window will probably not receive enough sunlight so you must find alternative sources of light to help them grow. If you are growing plants and don’t have enough sunlight, try to arrange fluorescent lamps, Incandescent Lamps or other types of artificial glow light systems. Make sure you are providing the right kind of light, otherwise this could hurt your plants and your efforts will not provide you with the dividends you desire. Plants grow best between 65-70 degrees. If the climate is too cold, their leaves will turn yellow and they will fall off. If the temperature is too hot, plants will be small and weak. Try to maintain the optimal temperature range. So just be mindful of how hot or cold your home is and adjust it to the ideal temperature. Lack of humidity is a major problem for indoor plant growers. A lot of indoor farmers are bothered with it. It’s because the winter season tends to be drier than summer. Try to figure out how much humidity your plants need and try to provide that. This way you can see how much water you will need to have in your environment so your plants can flourish. A good way to tell if your plants are getting enough humidity is by observing them closely. If you see your plants look withered or puckered, and they are losing leaves, it’s a good indication that it’s suffering from lack of humidity. To increase humidity, mist your plants daily, twice a day if needed. Place a tray of winter in the middle of your indoor garden. This will help humidify indoor air and help them greatly! You need a good and light potting soil for your indoor plants. Your garden soil outside may not be appropriate because it’s too heavy and it may contain insects eggs or larva, weeds, seeds, and other impurities that hinder growth. You also need to make sure that your growing medium stays well drained because stagnant water can harm the roots of your plants. It’s best to purchase some potting mix for your plants. Make sure you choose an organic potting mix that gives your plants the ideal kind of nutrients to make them as healthy as possible. You can grow almost anything indoors if you give it enough care. Make sure you have enough space for the plants you’re trying to grow. Below we have a list of fruits, flowering plants, and vegetables you might want to grow indoors this winter. You can also grow number plants indoors in a soilless hydroponic system. A hydroponic tower garden can help you grow at least 50 plants at a time that takes up no more than a couple of square feet of your floor space, so they are awesome for places with little space. They are easy to operate and can run virtually on autopilot. So you can enjoy your plants without spending a whole lot of time and effort taking care of them. There is no better way to eat healthy and fresh than growing your own food. Even though it’s winter outside, you can still grow a number of plants indoors for food. You only need to spend a few hours a day, taking care of your plants, and you’ll be able to harvest sweet success. Try it today and see your life improve in a variety of different ways! 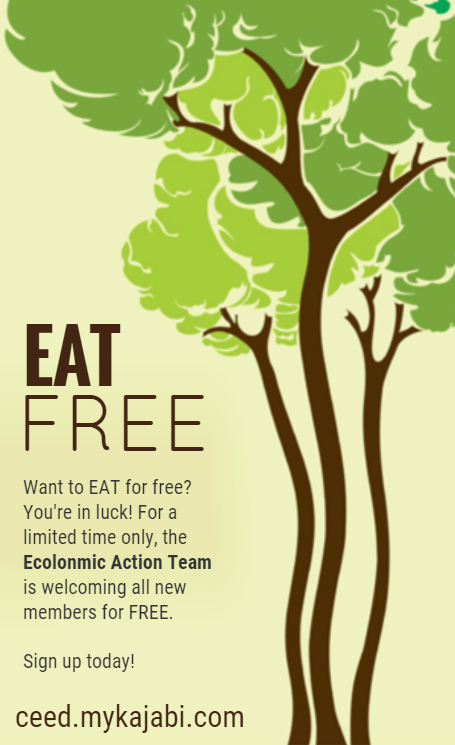 P.S: if you’d like to learn more about farming, permaculture or forest ecology, join our EAT Community to receive hours of online training sessions for FREE! 7 Indoor Planting Ideas for City Dwelling Plant Lovers! Vertical gardening & indoor gardening are great options if you are out of space. The above tips are need to considered while doing indoor gardening. Winter is also a good time for indoor gardening but we just need to look after the light and temperature which are necessary for their growth. Thanks for the advice. Looking great work dear, I really appreciate you on this quality work. Nice post!! these tips may help me for future.